Digital Marketing is constantly on a progressive ascend and for many businesses that utilise SEO, it means there will always be room for improvement. 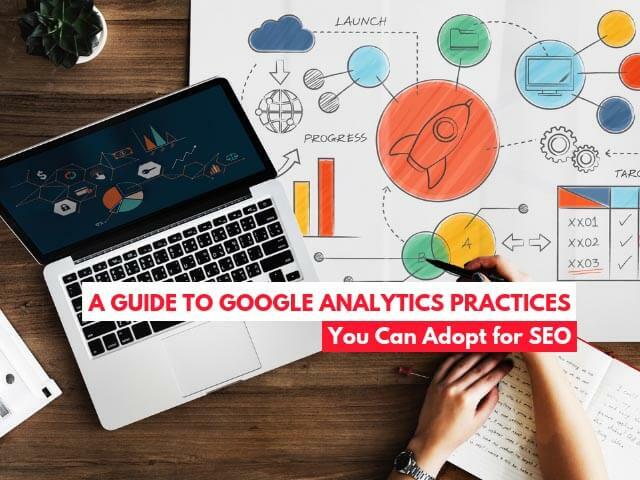 Google Analytics is one service that can help you by providing insights that enable you to find new opportunities for optimising your SEO campaign. With features such as conversion metrics, engagement metric insights and more, there is plenty of applicable knowledge that can inspire you to create actionable initiatives to improve your SEO. In the article below, we’ll share some of these insights for you. A site’s bounce rate is essentially the percentage of visitors to a particular website that leaves after only viewing only one page. A common cause of high bounce rates can be because of poor user experience, especially websites that are cluttered, but it may also indicate that visitors did not find what they were searching for on that particular website. Additionally, if a website has poor design and UI/UX, it can also be a major reason for a high bounce rate. You can assess the bounce rate of your website by adjusting the time frame in Google Analytics, so you’re able to determine if it has improved or worsen. If the bounce rate keeps increasing, then it may be a sign that you need to update your website. One of the key features of Google Analytics, custom segments enables you to monitor the traffic you receive by channel, goals, demographic data and many more customisable options. Useful custom segments about user data can also be created, such as visitors’ time on site, visitors who completed their goals, and also visitors from a defined location. Using the custom segments can help you discover and learn more about user behaviours that visit your website, how they engage with it, and subsequently identify key areas of improvement. Observe the mobile bounce rates. Keeping a lookout for web pages with high mobile bounce rates can help you focus on the problems related to that page and work on solutions to fix it. Identifying the number of mobile conversions for each individual webpage. Do this by adding a mobile segment. Comparative analysis between mobile and desktop bounce rate metrics. Doing this for individual web pages can highlight the differences between desktop and mobile experiences.